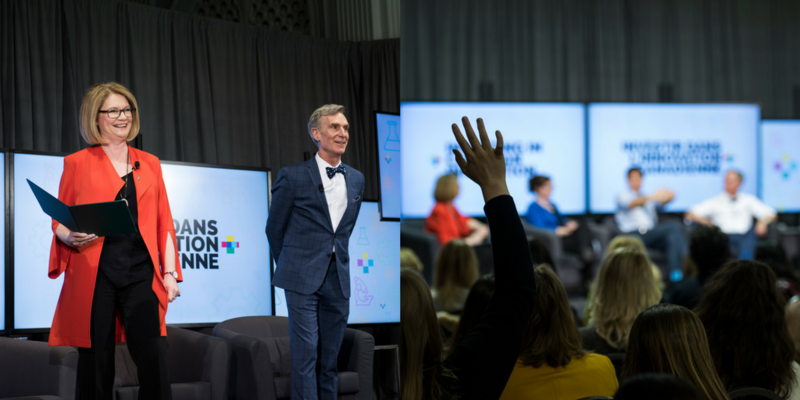 For anyone interested in science and politics, this March 6 event was not to be missed. 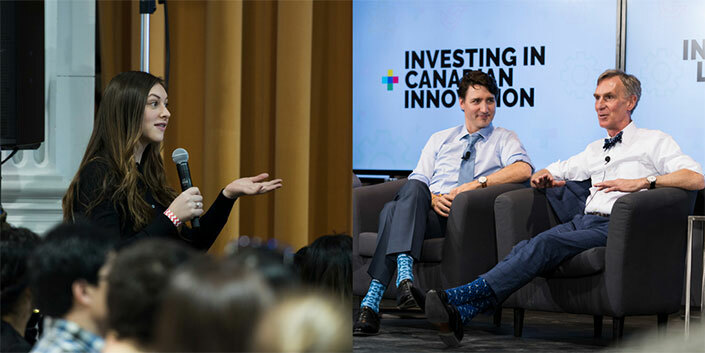 Hundreds of uOttawa students were quick to accept their invitation and packed the Tabaret rotunda to attend an armchair discussion on the importance of science with Prime Minister Justin Trudeau; Bill Nye, a TV celebrity known for his humorous show that explains science, Bill Nye the Science Guy; Caitlin Miron, a Queen’s University PhD student whose basic research could help stop the spread of cancerous cells; and Ayda Elhage, a uOttawa PhD student, whose work in “green chemistry” could be applied to water purification. Mona Fortier, Ottawa-Vanier MP and uOttawa alumna, welcomed the participants and Kate Young, parliamentary secretary to the minister of science and MP for London West was moderator. Trudeau and Nye started off by mentioning how science is all around us and how scientific curiosity is part of human nature. According to Trudeau, this curiosity — which often diminishes with age — must be maintained so that, as a society, we can face major change, such as automation, artificial intelligence and an evolving work environment. As leaders, we must embrace this change rather than resist it. That’s why, Trudeau said, the 2018 federal budget, brought down last week, calls for spending on basic science of nearly $4 billion. 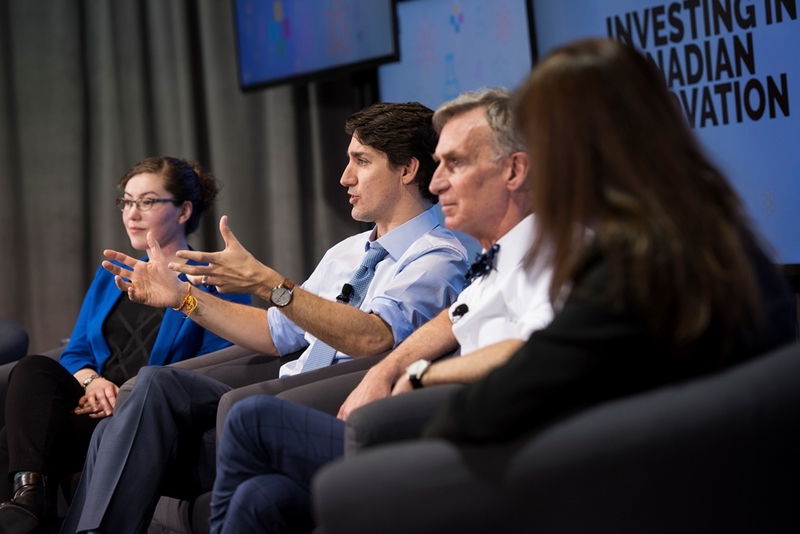 For the prime minister, even if it doesn’t immediately translate into business success, basic research is crucial for discovery and innovative approaches that can change the world.